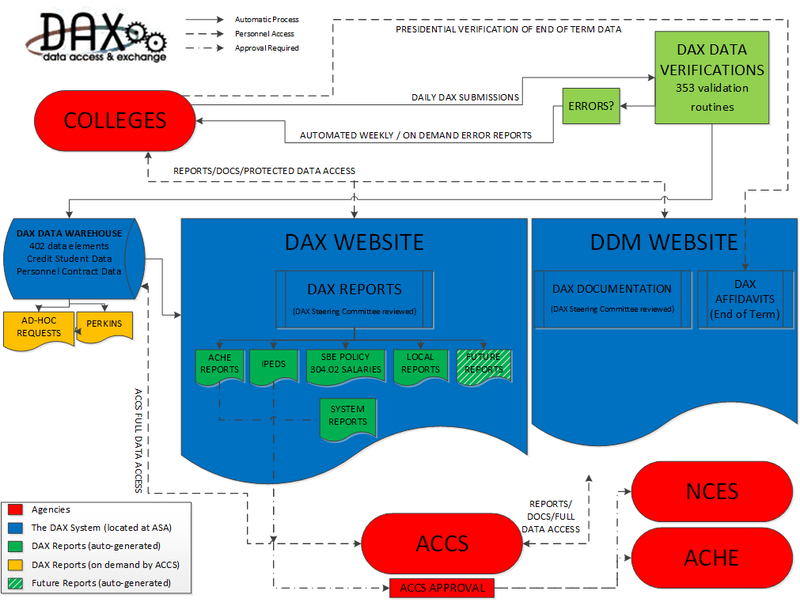 The DAX System is a fairly complicated system. 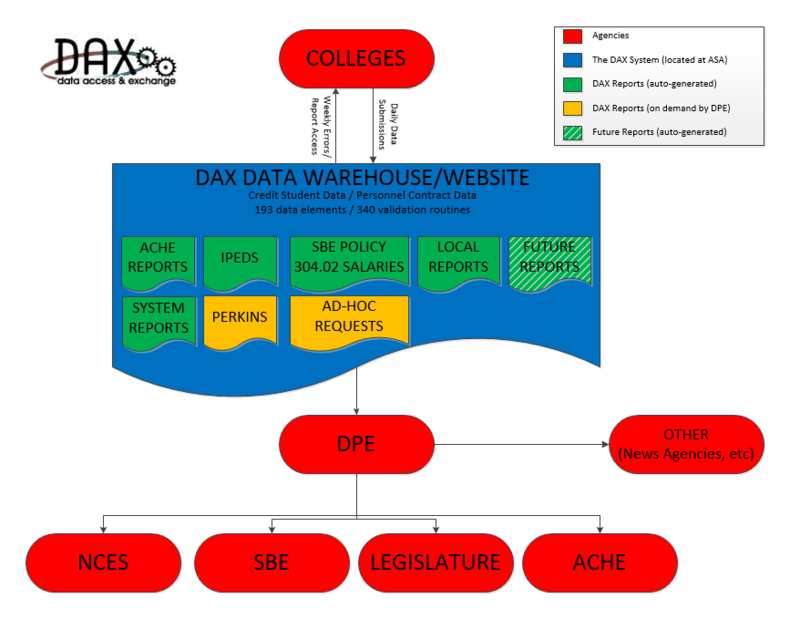 In order to better understand the process, the DAX Steering Committee has developed the following graphics. The first is a truly basic outline of the DAX process. The second gives a more detailed version. For more information, please e-mail the steering committee at daxsteeringcommittee@accs.edu. Clicking the image will bring up a larger version.